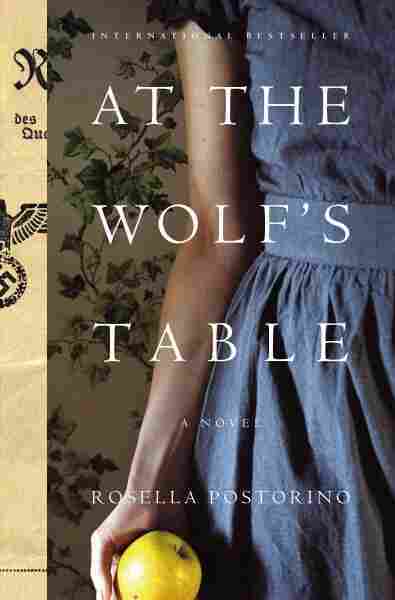 Tasting Food For The Führer At 'The Wolf's Table' Rosella Postorino's new novel is based on the real-life story of a German woman who was conscripted to serve as a food taster for Adolf Hitler, who feared that the Allies were trying to poison him. The novel At the Wolf's Table begins with what sounds like a fine meal: String beans, doused with melted butter. Roasted peppers, rice and peas, apple strudel for dessert. Opulent cuisine, really, for 1943 Germany — and Rosa Sauer is hungry. But she struggles to keep her meal in her stomach; she has to stay at the table, seated and squirming, for an hour. Rosa and nine other conscripted women are food tasters for the Fuhrer, at Adolph Hitler's forest headquarters, called the Wolf's Lair. At the Wolf's Table was an international bestseller for author Rosella Postorino; it's now been translated into English by Leah Janeczko. Postorino says Rosa was based on a real German woman, Margot Wölk, who revealed late in her life that she'd been one of Hitler's tasters. "And what was interesting to me was that she was not a Nazi, but she risked her life, every day, three times a day, to save Hitler's life." Postorino wrote to Wölk, asking to meet — but the elderly woman died shortly after telling her story. I was very sad and upset because I couldn't meet her, and at the beginning I also thought I couldn't write anything about her or her story, because you know, I am not a German, I have never lived under a dictatorship, and so I thought that I hadn't the right to speak about her. But at the same time, I feel obsessed by her story. What would I have done if I had been in her shoes? ... What was interesting to me was she was a victim and at the same time, a guilty person. In my novel, the story is told by an old Rosa, she's telling this story from the future, and she knows everything about the Reich. She has no alibi. And so the fact that she tells the story from this period allows me to represent Rosa's conscience, and probably now she knows that she was at the bad part of the story. I like her, because she's very human, I think. This contradiction — the fact that she is victim and guilty at the same time — is very human. This contradiction is typical of human beings in every era. I always choose characters that allow me to represent the ambivalence of human behaviors. She survived. She's old, she was not killed by poison, she was not killed by Russian people. But actually she does not live, because she's always — like if she was in prison. Prison is the memory of the traumatic experience of the war, and of her absurd job eating Hitler's food. This story was edited for radio by Monika Evstatieva and Ed McNulty, and adapted for the Web by Petra Mayer.